This season opener for the 2018 Longines Global Champions Tour and GCL team series kicks off in the heart of Mexico City, with the full rider list revealed today. Many of the top names in show jumping will be preparing to face off at the opener, with all eyes looking to see who will be on form at this early stage of the Championship. Simon Delestre (FRA), Eric Lamaze (CAN), Bertram Allen (IRL), Marcus Ehning (GER), Christian Ahlmann (GER), Gregory Wathelet (BEL), Lorenzo de Luca (ITA), Steve Guerdat (SUI), Daniel Deusser (GER), Kevin Staut (FRA), Nicola Philippaerts (BEL), Olivier Philippaerts (BEL) and Maikel van der Vleuten (NED) are just a few of the world-class athletes in action this weekend, all looking kick start the season with a win and the chance to start the year at the top of the LGCT ranking board. 2016 winner Roger-Yves Bost (FRA) will be back in action for this edition of the Mexican event, a rider who ignited the thousands of spectators’ passion after a fiery jump-off had crowds on the edge of their seats. Two former LGCT Champions will also be in action this weekend at Mexico City, each with the chance to write history this season. Edwina Tops-Alexander (AUS) and Scott Brash (GBR) are currently the only riders to hold the title of two-time Tour Champions - 2011, 2012 (Tops-Alexander), 2013 and 2014 (Brash) - and either could become the first athlete in the world to take the Championship crown three times. However, the 16 event season will be a true test for the most rounded and consistent athletes in the sport, challenging the best in unique locations worldwide, from expansive grass arenas such as Mexico City and Madrid’s Club de Campo, to the small yacht-lined stage set in Monaco’s Port Hercule. With over 20,000 fans in attendance last year, LGCT Mexico City has become an unmissable event on the show jumping calendar. Fans around the world will be able to watch via GC TV, the live streaming service, which this year features further innovations, expert analysis and the best view of the sporting action from the comfort of a tablet or laptop. As well as increased streaming, fans will be able to keep up to date via the LGCT and GCL official social media platforms, with an inclusive behind the scenes experience and unique perspective of the GC world. This year Mexico City will once again have the honour of opening the 2018 season by hosting round 1 of the competition, kicking off from the 22nd - 25th March. 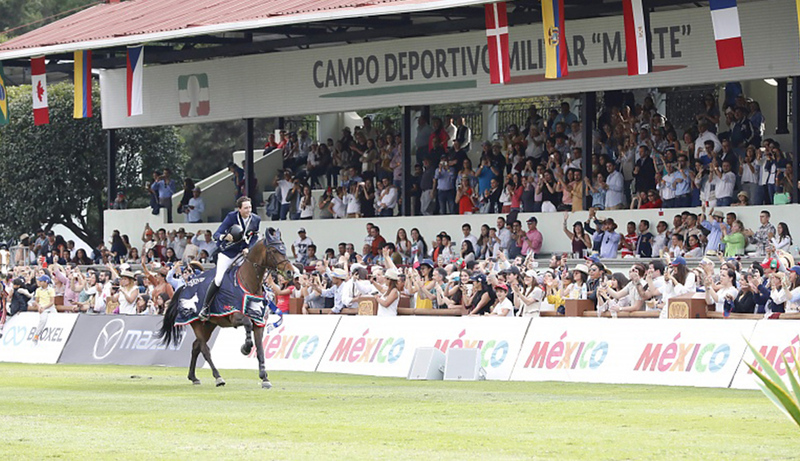 Campo Marte is an equestrian venue located in the Avenue Paseo de la Reforma, next to the National Auditorium in Chapultepec Park, in Mexico City, which previously hosted Olympic Games dressage and individual jumping events. This year marks the 50th anniversary of the 1968 games, and will be the third consecutive year the LGCT and GCL heads to the vibrant capital city. For the full schedule and event information, please click here. For information on scheduling and live streaming details via GC TV, please click here.